The idea of a museum in South Georgia came from the Governor of the Falkland Islands William Fullerton. The old Manager's house was refurbished ready to house the more perishable items. Tim and Pauline Carr arrived on the island in the early 1990s, helped set up, and looked after the museum and shop in the early days. The rooms in the museum are themed. Just inside the door there is an exhibition case with carving implements, whale's teeth, and a whale catcher in a bottle made by Norman Jamieson. 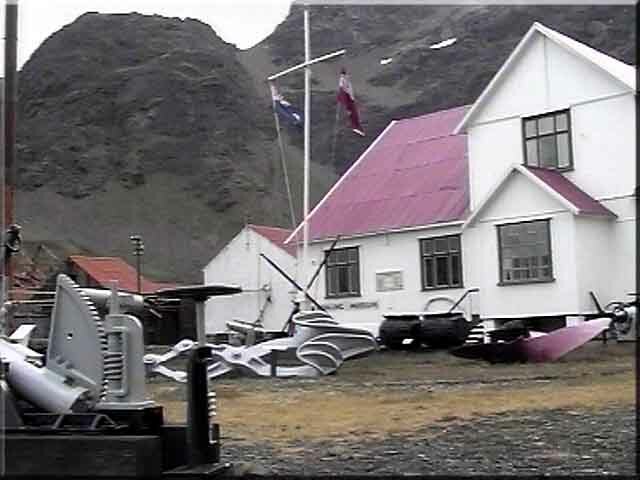 There is the Larsen Room which is the history of Captain Larsen's progress in the early whaling days, another room is set up with original furniture as the accommodation would have been like for the men. There is a room dedicated to diving equipment used in South Georgia, and another with rigger's equipment. There are many various items to be seen such as the old cinema projector, a very illegal still, and an early radar set. 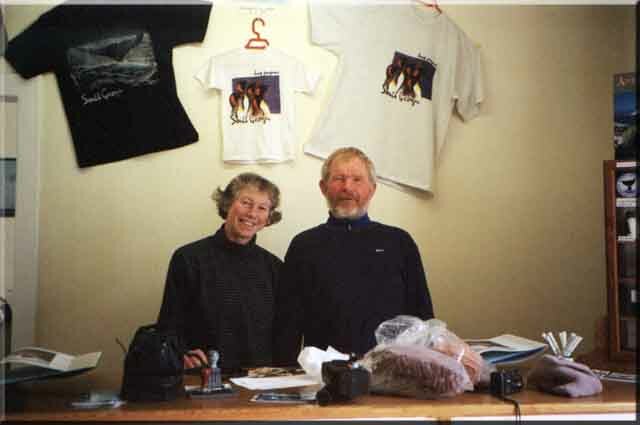 Tim and Pauline Carr in the Museum at Grytviken, that they ran for almost a decade. 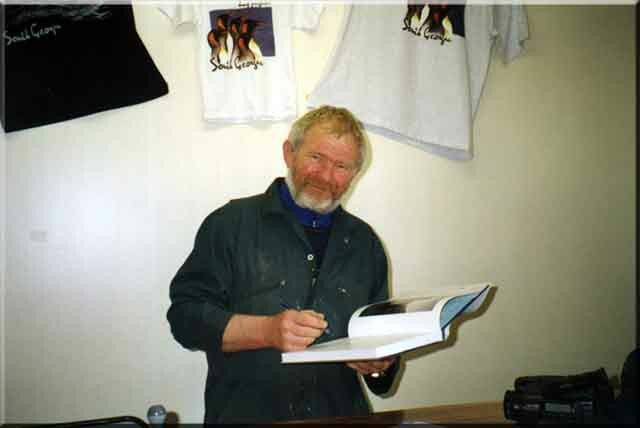 Tim signs a personalised copy of "Antarctic Oasis". A slideshow of some of the rooms and exhibits to be seen in the whaling museum. 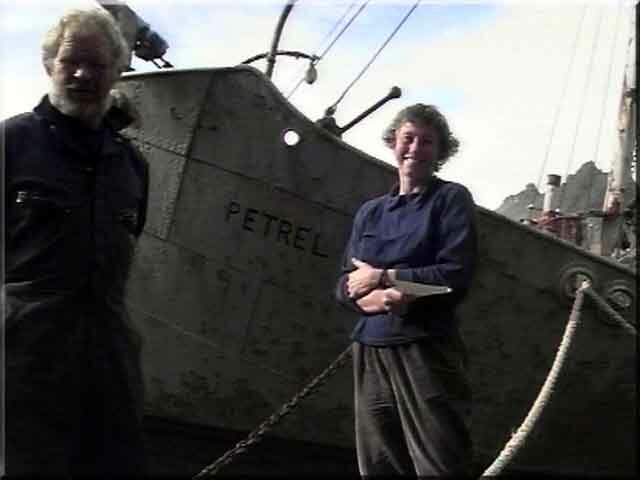 Tim and Pauline Carr, the co-authors of "ANTARCTIC OASIS - Under the Spell of South Georgia", standing beside the bows of the ex whale catcher Petrel. All proceeds from the book went towards the maintenance of the museum, which Tim and Pauline ran since the early 1990s. Their own yacht, Curlew is moored outboard of Petrel. 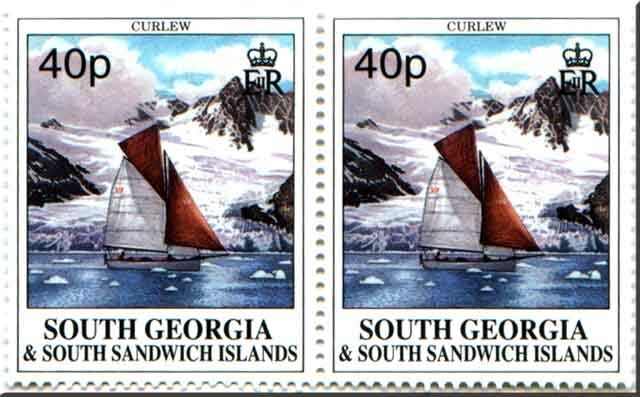 Curlew is one of only a few yachts to be pictured on a South Georgia and South Sandwich Islands postage stamp. A fitting tribute to a lovely couple.